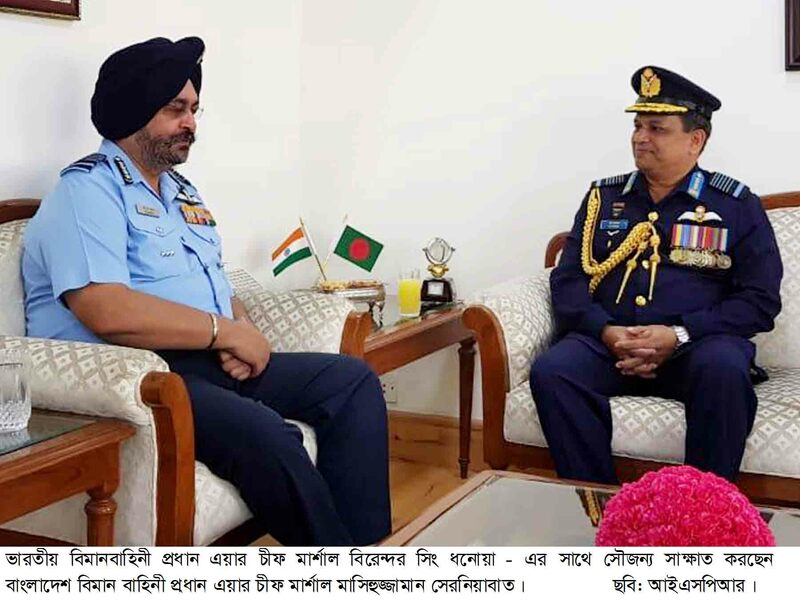 Visiting Chief of Air Staff of Bngladesh Air Force Air Chief Marshal Masihuzzaman Serniabat, BBP, OSP, ndu, psc called on Indian high civil and military officials yesterday, Monday (15-10-2018) in Delhi. 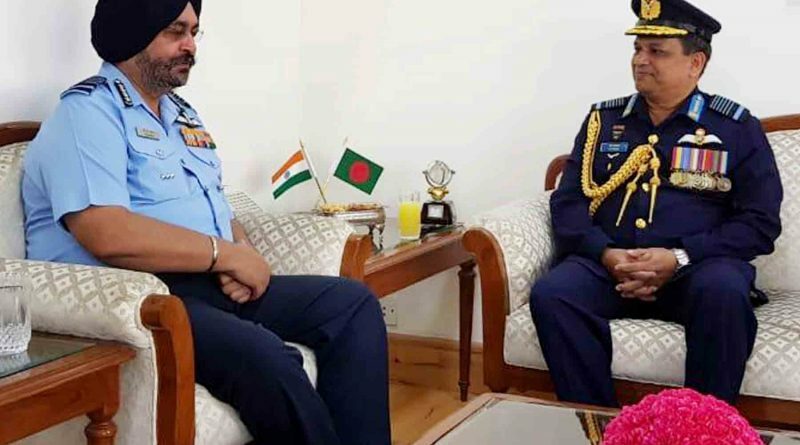 Chief of Air Staff made a courtesy call on Chief of Indian Air Force, Air Chief Marshal Birender Singh Dhanoa at the Air Headquarters. 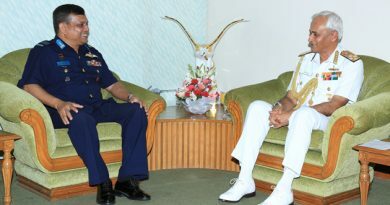 They discussed various bilateral issues that furthered previous regular staff talks between two Air Forces. 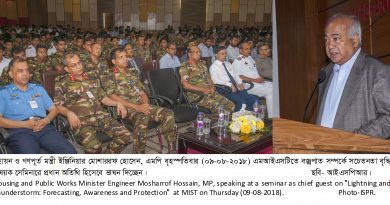 During discussion, Vice Chief of Air Staff and other high officials were also present. 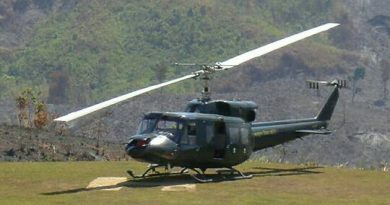 The meeting preceded by wreath laying at Amar Jawan Jayoti at India Gate in the morning and a Guard of Honour at the Vayu Bhaban (Air Headquarters). 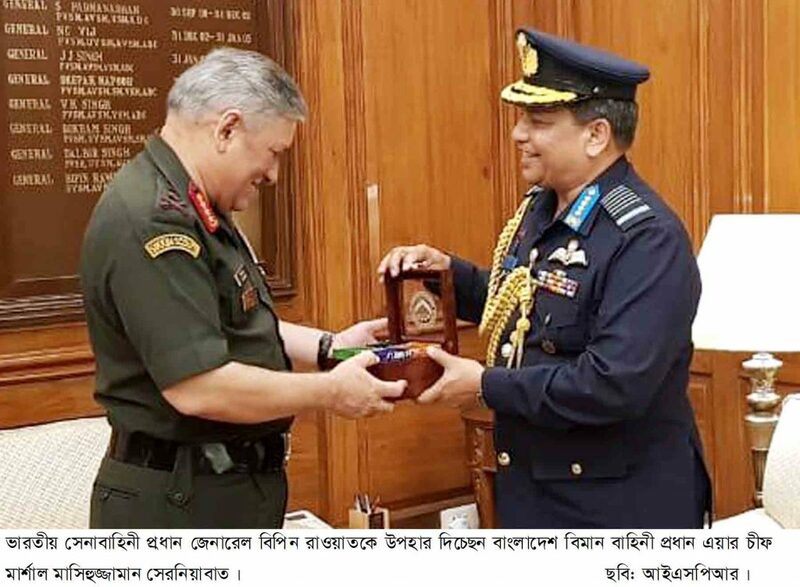 Later, the Air Chief of BAF had eventful discussion with Chief of Staff, Indian Army General Bipin Rawat and Vice Chief of Staff, Indian Navy. An insightful discussion with Defence Secretary Mr Sanjay Mitra was also organized on the same day. Besides, BAF Chief will visit various Military Establishments located at Jodhpur, Bangalore and Hydrabad during the visit. It is expected that this visit by Chief of Air Staff will play an important role for strengthening the existing friendly relationship between Air Forces of two countries. 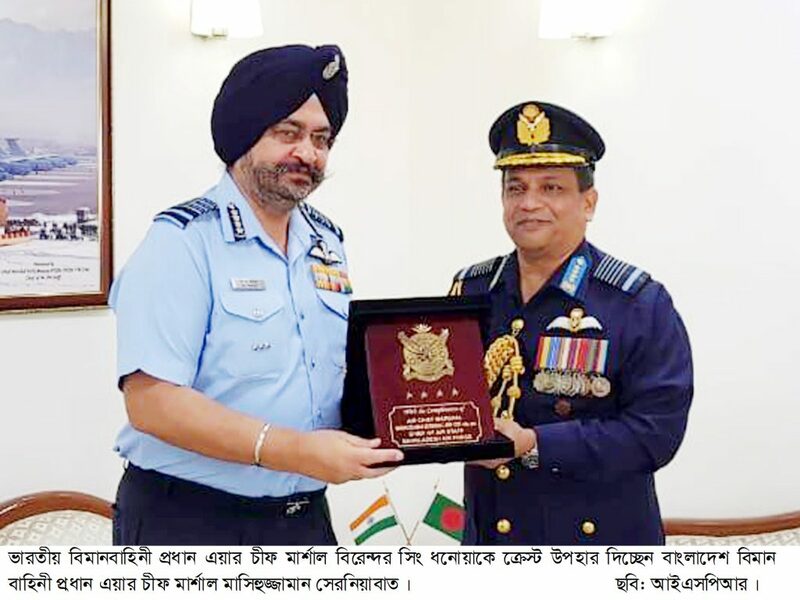 Visiting Indian Navy Chief Admiral Sunil Lanba calls on Bangladesh Air Chief Air Marshal Masihuzzaman Serniabat. Lightning has been identified as the leading causes of weather related death.